Wuz heer a minnit ago! Mouse haz lefted teh buildink. Honnist. 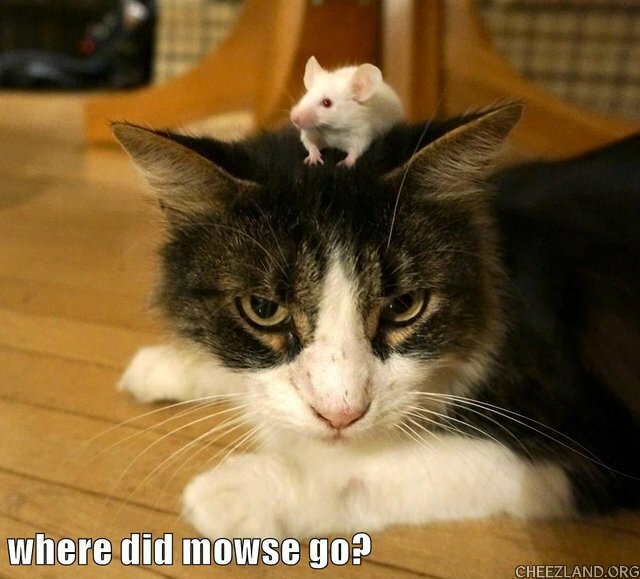 I iz nawt a mouse telling yu dis. Teh cheez yu still iz a nilushun. Yu aer getting sleepy. Yu iz allergik to white fings. Nawt tough nor nom. Oh, luuk, yu iz getting fish. Mustest nawt spoil appytite.